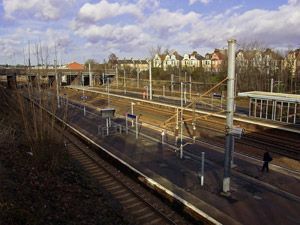 Are you looking to move into Harringay? Do you already live there and are considering leaving? Do you live there at the moment and just want to move nearby? There's a lot Harringay has to offer so if you want to move into or out of the area then HarringayRemovals.co.uk can help you. As a dedicated removals service we can take care of all the difficult jobs and get you swiftly into a new home or office. If you're unsure if Harringay is for you, read on and find out what you are or will be missing. Harringay is located in North London as part of the London Borough of Harringay. It is centred on Green Lanes, with Finsbury Park in the north and Ducketts Common to the south. The Great Northern Railway lies to the west. The name Harringay probably comes from the Saxon period and was most likely a person's name. It evolved from Harenhg to Haringesheye, then to Haryngeay to Haringey before eventually becoming Harringay around 1569. Way back in the Ice Age the area was nothing more than a huge glacial mass and there are indications that there was activity in the area during the Stone and Bronze Ages. The area was invaded by the Saxons throughout the 5th and 6th centuries and one of their chieftains was the one who gave the area its name. In the Domesday book the area was recorded as belonging to the Bishop of London and Waltheof II. From this point up to the 17th century Harringay went from a forested area to a rural one, with few inhabitants. By 1750 the entire region was almost completely agricultural land with few buildings. Then over the following 130 years development began with houses and parklands being created. Harringay House was constructed around this time and near Green Lanes a kiln and pottery was developed. From 1750 onwards Harringay has been a hot spot for entertainment and fun. Copt Hall was a popular tavern which was eventually demolished and replaced with a private leisure park, with included a lake for rowing and fishing. This place was also very popular, with cricket, shooting, rowing and more taking place here. The area was eventually replaced by Finsbury Park in 1869 and around this time Alexandra Palace was opened. The area was still quite spare until the railways were opened. Victorian urbanisation began to take over and Harringay spread outwards. Sport started to become a major feature of the area with Harringay Stadium opening in 1927 and Harringay Arena. Many things from ice hockey, greyhound racing, boxing, classical music events and the famous Horse of the Year show took place here. Harringay started to take shape as immigrants moved here after the Second World War, bringing a diverse atmosphere to the area. Around this time Majestic Wine, one of the most famous wine stores in the UK opened. Harringay proudly boasts that 22.5% of it is open space, with Finsbury Park, Railway Fields (winner of the prestigious Green Flag award), Ducketts Common and an prize winning community garden in Doncaster Gardens. The area has been filmed several times of the years for film and television most notably in Richard Attenborough's Oscar winning film Chaplin. 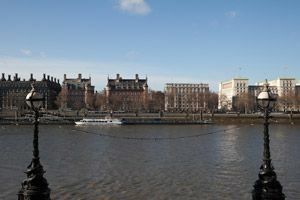 Noteworthy people who have been born or lived in the area include artists Steve Cox and Nicola Green, writers Madeleine Dring, Vivienne Haigh-Wood Eliot, Jonathan Elphick, actors Ron Moody and Barbara Windsor as well as many MPs, activists and sportspeople. So call HarringayRemovals.co.uk now on 020 8746 4350 to begin your exciting Harringay move.